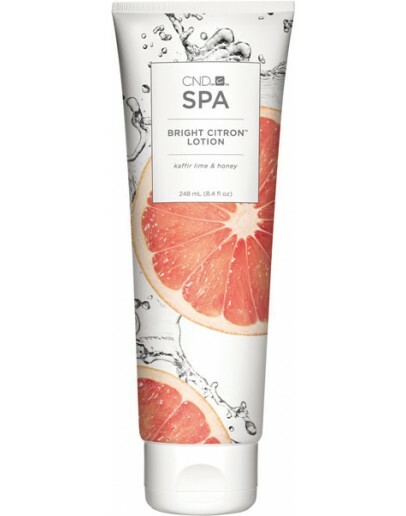 CND Spa Bright Citron Soak is an indulgence of rich moisture. The silky formula imparts a soft, supple feel to skin and restores radiance with a botanical blend of hydrating and purifying kaffir lime & honey. Leaves skin luxuriously soft with every touch.